Melbourne’s Left Ear Records continue their output with two supreme South African dancefloor hits from the 1980s. Lungile Masitha was the short-lived studio name for renowned SA artist Sello ‘Chicco’ Twala, who played with such iconic bands as Harari and Umoja. 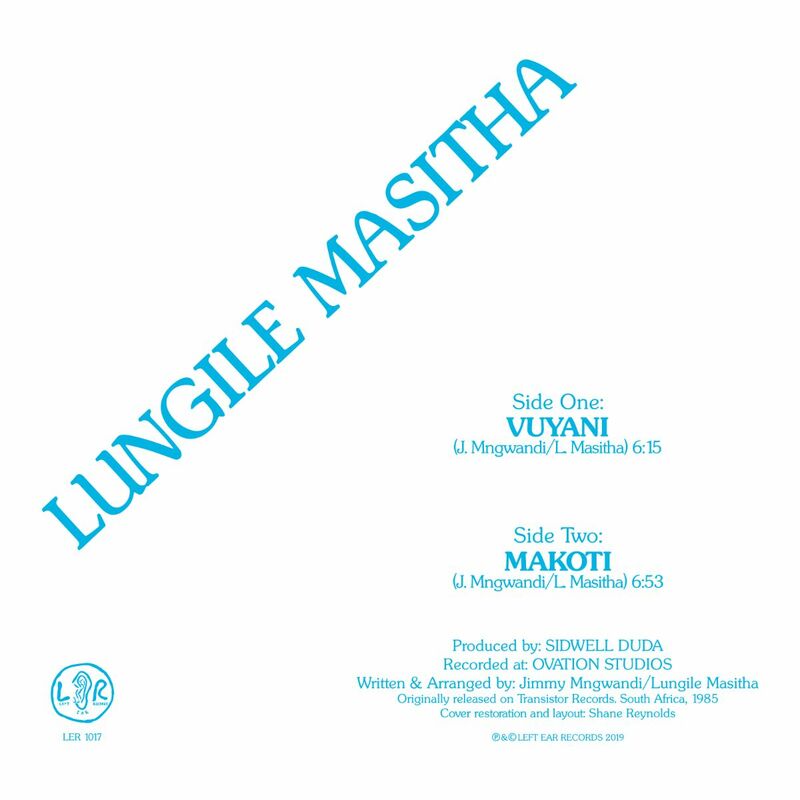 However, in the mid 80’s his name was under license to one of the major labels and so he recorded under the name ‘Lungile Masitha’. This is how he linked up with long term friend Jimmy Mngwandi to co-write and arrange the two tracks Vuyani and Makoti, both sung in his native Tsongan tongue. Vuyani shows off Chicco’s unique vocal style, backed with piercing drums and distorted choruses, while Makoti is a mellow blend of floating keys and choruses sung by local kids in an effort to expose “emerging talent”. It’s out now through Rushhour. Awesome Tapes From Africa reissue Umoja’s 707, South African music reigns and bubblegum is back! The Awesome Tapes From Africa label returns after Brian Shimkovitz’s recent expedition to South Africa – resulting in this much sought after reissue of bubblegum music stars Umoja and their 1988 EP 707. The label boss and DJ also linked up with Johannesburg selector and Afro Synth record shop owner, DJ Okapi, to check out his rapidly renowned emporium. 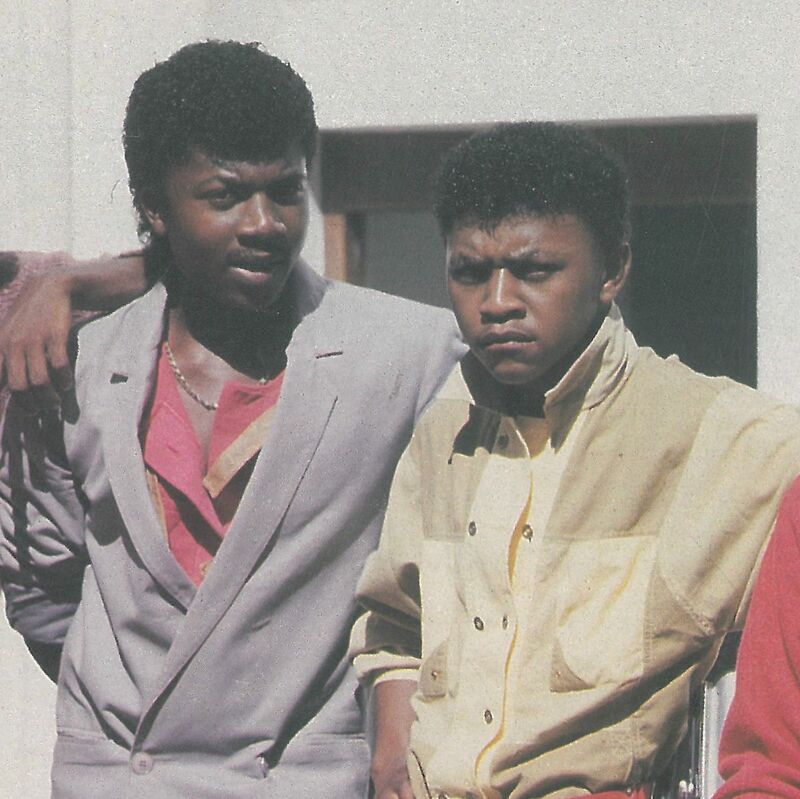 The band’s ‘Om’ Alec Khaoli turned to the pure pop form during apartheid in the mid-‘80s and Umoja’s EP 707 was a chart-topping hit in 1988 that achieved double-platinum status. Bubblegum music was an extremely catchy township music with call-and-response vocals and synthesiser-led melodies. Awesome Tapes From Africa will release Umoja’s 707 on LP/CD/Digital on May 5.